SpaceX is deep into an internal mishap investigation following the loss during First Stage flight of a Falcon 9 rocket with the CRS-7 Dragon. While the Second Stage is considered to be the main culprit for the failure, investigators are currently gathering data to reconstruct the final moments of Falcon 9’s flight as recovery teams attempt to retrieve the rocket’s remains to further aid the fault tree data. The loss of the CRS-7 mission is a harsh reminder that space flight is hard. SpaceX has become the rock star of the rocket industry, with a massive global fan base and an ability – despite its relatively young age – to collaborate and compete with the veteran space industry in its area of business. However, they are no strangers to challenges as the company began its tenure in the space launch business with mishaps, as three Falcon 1 flights in succession failed to successfully complete their missions. 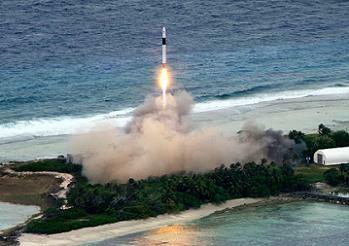 SpaceX entered the operational scene with a debut launch in 2006, as its Falcon 1 finally launched from Omelek Island on Kwajalein Atoll in the Marshall Islands. On board was the FalconSat-2 spacecraft for the US Air Force. However, the maiden flight suffered a First Stage engine failure, resulting in the rocket nose-diving into the water. The second Falcon 1 mission – a demonstration flight – failed after a series of events led to the premature cutoff of the Second Stage engine. On the third flight, control of the rocket was lost after recontact between the First and Second Stages occurred during separation. The Department of Defense’s Trailblazer satellite was lost in the failure, as were NASA’s PRESat and NanoSail-D CubeSats and a Celestis space burial payload. At the time of the third failure, the future of SpaceX was in doubt, per Elon Musk. However, the company pressed on. Finally, with the fourth Falcon launch – on 28 September 2008 – success came to SpaceX, with the Falcon 1 successfully placing a demonstration payload, nicknamed RatSat, into orbit. This success paved the way for the launch of Malaysia’s RazakSAT in July 2009, which was also successful. The turnaround in fortunes was led by Mr. Musk, who responded to the initial failures in his typically robust fashion. Mr. Musk proved to be as good as his word as SpaceX built on its successes, debuted its Falcon 9 workhorse in 2010, and won contracts awards from NASA for supply runs to and from the International Space Station. 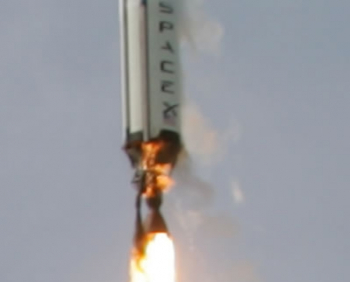 The V1.0 version of the Falcon 9 only suffered from one notable issue during its first five missions, when the number 1 engine failed approximately 79 seconds after launch during the CRS-1/SpX-1 Dragon mission. The issue was caused by a loss of pressure in the engine and a corresponding command from Falcon 9’s control computer to shut the engine down. 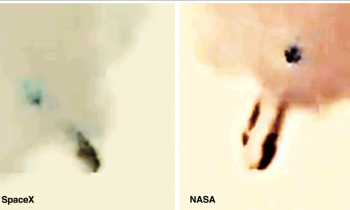 While debris was seen falling from the rocket, the debris was most likely part of a fairing designed to protect the engines from aerodynamic loads and not part of the failed engine itself. Notably, the loss of the engine showed in reality what SpaceX had long claimed about the Falcon 9: that the Falcon 9 could lose at least one if not two main engines during First Stage ascent and still make it safely and successfully to orbit. However, the loss of the number 1 engine did result in a greater consumption of fuel than planned during the Second Stage burn in order to reach the planned orbit for Dragon deployment. As a result, the Second Stage failed a propellant mass check at engine cut-off, which resulted in the incorrect orbital deployment of the secondary passenger – an Orbcomm satellite – which was subsequently lost. 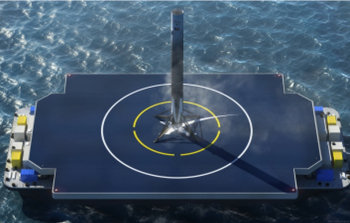 With the successes mounting, SpaceX debuted a planned, beefed up version of the Falcon 9 – the v1.1. This version of Falcon 9 sported a stretched tank supplying LOX and RP-1 to nine upgraded Merlin 1D engines, rearranged in an “octagonal” pattern on the core, with one center engine. SpaceX began testing the Merlin 1Ds in 2011 with a 28-test qualification program which saw the test engines accumulate 1,970 seconds of total test time: the equivalent run time of over 10 full mission durations. In all, the 28-test qualification program returned varying levels of success. Addressing these results, SpaceX noted that the test engines were non-flight engines and were deemed to be less robust than those with which the Falcon 9 v1.1 would actually fly. 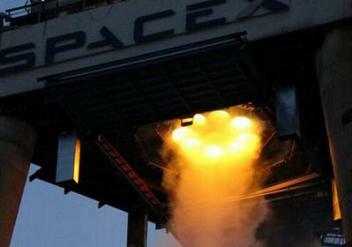 The subsequent validation test program, using flight-worthy Merlin 1Ds, proved the engines’ worth and provided the green light to ship the first Falcon 9 V1.1 first stage core – known as F9S1-006 – to its launch site in California. With all ground testing complete, the Falcon 9 v1.1 successfully debuted with the launch of the CASSIOPE spacecraft from Vandenberg Air Force Base in September 2013. Following First Stage separation on the CASSIOPE mission, the Falcon 9 V1.1 core performed the first in-flight test toward SpaceX’s future ambition of returning the Falcon 9 First Stage back to land for eventual reuse. For the CASSIOPE mission, the Falcon 9’s core performed a controlled descent to the Pacific Ocean, allowing SpaceX to gather valuable in-flight data on the actual performance of the First Stage during the never-before-attempted propulsive recovery of a rocket’s core stage. The data gathered during the CASSIOPE mission landing maneuvers allowed SpaceX to perform further incremental testing via the addition of hardware to the Falcon 9’s First Stage, such as legs and fins, ahead of the company’s ongoing attempts to successfully land the First Stage on an ocean-fairing landing vessel. This reusability aspiration soon gained widespread attention – and even industry alternatives. But for SpaceX, the primary mission would always remain the focus – with all First Stage recovery operations taking a back seat to mission and launch needs. But when those needs aligned with an opportunity to perform a landing attempt, SpaceX continued forward with their recovery plans. The latest alignment of those needs and opportunity came with the CRS-7/SpX-7 launch, which would have attempted to land the Falcon First Stage on the latest Autonomous Spaceport Drone Ships (ASDS) “Of Course I Still Love You” – a somewhat apt name given the circumstances surrounding this mission. The launch itself, the 19th of Falcon 9, aimed to loft the seventh Dragon spacecraft on a key resupply mission to the Space Station, with the aim of adding to Falcon 9’s string of successes. But this aim was not to be, as an overpressure event in the Second Stage 139 seconds after liftoff precipitated the loss of Dragon and the disintegration of the Falcon 9 launch vehicle. The cause of the failure remains unknown at this time, with only a short message from Mr. Musk providing some information that pointed to the Second Stage of the Falcon 9. 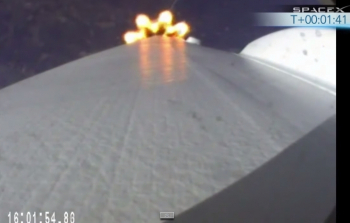 The launch video showed the First Stage continued to fire in a defiant – yet futile – continuance of its flight uphill for approximately nine seconds after Second Stage failure before the rapidly changing aerodynamic environment began to rip it apart. 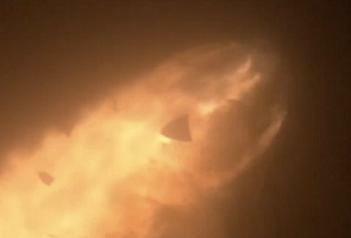 Long-range tracking cameras at the Cape Canaveral Air Force Station and the Kennedy Space Center captured the failure in detail great enough to identify the Dragon spacecraft departing the “scene of the crime”, although her fate was also sealed as she headed for an unsurvivable high-velocity impact on the ocean surface. While the internet has been buzzing with speculation into the cause of the failure, the note from Mr. Musk provides a potential pointer towards the helium pressurization system’s bottles in the Second Stage. 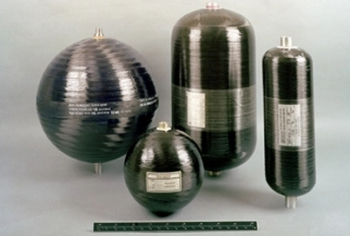 Composite Overwrapped Pressure Vessels (COPVs) – as they were named during the Shuttle era – have been a topic of engineering discussion for SpaceX in the past, with “bad trends” in a number of helium bottles causing a manifest debate relating to the CRS-6/SpX-6 and TurkmenistanSat missions. Both missions were launched without issue. While SpaceX continues to work toward root cause of the failure, the latest note from Mr. Musk came on June 29, which hasn’t yet been followed up as the company pressed into its internal investigation. “Cause still unknown after several thousand engineering-hours of review. Now parsing data with a hex editor to recover final milliseconds,” noted Mr. Musk. In all, the investigation is working with several assets, mostly the downlinked data from the vehicle in tandem with visual footage and the recovery of any remaining parts from the failed Falcon 9. 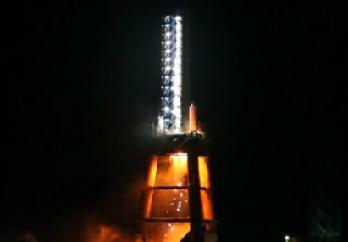 Some large pieces of the launch vehicle have already been recovered. 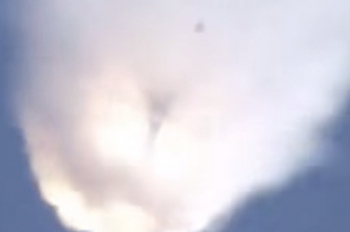 The video footage does not immediately provide many clues other than the flight appeared to be following a nominal trajectory and pattern right up until the moment the Second Stage ruptured. Regardless of the fact that the Second Stage failed during flight, the entire pre-mission flow and launch sequence will be part of the investigation, from the issue that caused the initial launch delay – believed to have been problems with the mating between the Falcon 9 and the CRS-7 Dragon – through to debris – likely ice and thus a nominal event – seen to be liberating from the vehicle during MaxQ. At this stage, it is likely – based on the only note of information from Mr. Musk – that the Second Stage’s pressurization system, and/or lines associated with the system, suffered a problem which resulted in the tanks suffering a major pressure change, the stage losing structural integrity (explaining how Dragon fell free from the stack), and the stage rupturing – which resulted in vehicle break-up. However, all theories have to be tagged as speculation until SpaceX releases official information into the mishap. “Expect to reach preliminary conclusions regarding last flight by end of week. Will brief key customers and FAA, then post on our website,” Mr. Musk added on Sunday. Once the root cause is found, corrective action will follow – prior to evaluations into the near-term launch schedule. All this will take place while reviews toward bringing the next performance evolution of the Falcon 9 online – tagged the V1.2 – are conducted along with schedule discussions for the Falcon Heavy that is set to debut out of the Kennedy Space Center (KSC) next year. The investigation is likely to allow for a full review of all SpaceX systems as it prepares for a Return To Flight in the coming months.